Regardless of all the negative sales numbers that we keep reading about, the Nexus One is quietly becoming the number one choice for developers. It also has a huge following inside the Android community, and lately it’s been living up to its name as the real “Google phone.” So it was a bit surprising to me a few weeks ago, when Google essentially announced it was shutting down the online Google phone store. Okay, so the numbers were bad, but still I’m surprised Google so willingly pulled the plug. Well what’s done is done, Google has slowly been selling off its online store stock of Nexus One phones, basically getting ready for the transistion to retail sales. Looks like Google isn’t wasting anytime either with making the Nexus One available in other avenues. A third party T-Mobile wireless retailer, IWireless, has unexpectedly started to sell the Nexus One through its website. 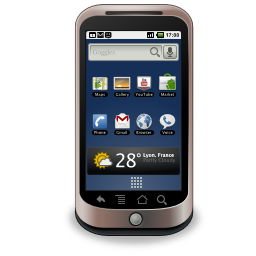 The authorized T-Mobile affiliate is offering the Nexus One for $299.95 with a 2-year contract. A $50 rebate is factored into the listed price along with a supposed $350 instant savings. The site shows the regular retail price of the N1 as being a whopping $700! Don’t worry you can’t just purchase the phone alone without a contract, so we won’t being seeing that price on our credit card statements anytime soon. We kinda figured that at least T-Mobile would be selling the Nexus One in its retail stores, although there is no word yet on if or when it will be available inside actual T-Mobile retail shops. The same goes for AT&T, there is no word if they will also be offering the Nexus One, either on-contract, or just unlocked. There are still rumors floating around that Wal-Mart could soon be carrying the Nexus One, which would make things interesting. We have just learned yesterday, they will start selling Apple’s iPhone 3Gs at a reduced price, so really anything can happen if Wal-Mart gets in the game.